We have your personal well-being in mind. This is a place to relax, rejuvenate, and refresh your mind and body. Welcome to Tranquility. 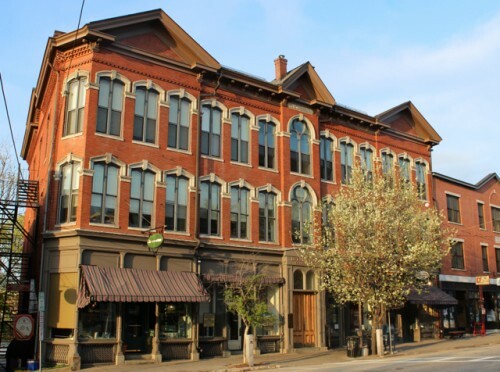 Tranquility Salon & Skin Care, located in the heart of beautiful downtown Exeter, invites you to come in and enjoy the experience of our warm and friendly environment. The beautiful sights and sounds of the Squamscott River from our back windows in the warmer months, the cozy fireplace throughout the winter, and the brick walls and high ceilings, all make for a very unique salon setting. Tranquility offers a full range of treatments for men and women. 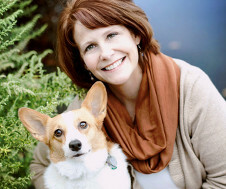 Our staff is extensively trained, and dedicated to helping our clients look and feel their best. 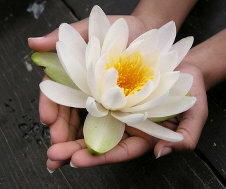 We specialize in nourishing, revitalizing and soothing treatments, to promote your happiness and well-being. Our intimate gift boutique features many wonderful items such as: aromatherapy candles, bath & body products, goat milk soaps, pottery, and jewelry. These items are perfect alone or to enhance a gift certificate, which can be personally tailored for that special someone. For your convenience, gift certificate purchases may be made at the salon, by phone or instantly, online. It is our mission at Tranquility Salon & Skin Care to provide our clients with the highest degree of customer service in a professional and unique setting. At Tranquility, we are committed to excellence and service to you, our guest. We wanted to create an organic environmentally safe place, that was tranquil, inviting and most of all hospitable, a home away from home for the staff and clients. Our stylists continually search the industry market place for the newest technology. Truly passionate about our craft, the health of our clients as well as our staff, we will do our best to provide you, the customer, with nothing but the best in green knowledge, hair care and customer service. We will constantly evolve to create the ultimate salon experience. Tranquility is the preferred Salon & Spa of the Inn by the Bandstand. 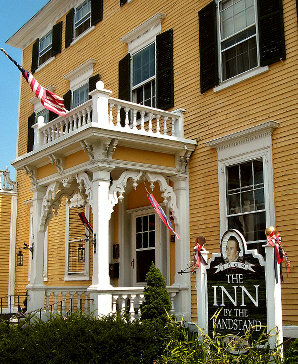 Please, be sure to check out this lovely and historic inn for your next stay in Exeter!